Caringly tucked into the corner of the Sierra's is an enclave of mountain and meadow homesites that’s nothing short of spectacular, a slice of heaven known as Job’s Peak Ranch. 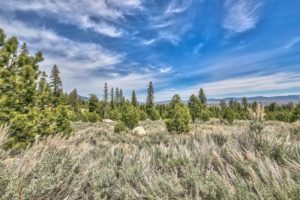 The homesites are nestled into a corner of the Sierra’s that’s been designed to co-exist with the wildlife and natural attributes of the area. Wide open homesites, average more than 4+- acres each and almost half of the 1080+- acres is dedicated to open space. Each is blessed with unbelievable views of trees and mountains and streams. There are other facets about living here that are equally as attractive as the scenery. For one, it’s in Nevada. That translates into a host of lifestyle and financial perks, including no state income tax. There’s location as well, Lake Tahoe is a matter of minutes away. The recreation scene is what drives life here; blue-ribbon fishing, championship golf, world-class skiing, hiking, water sports, nightlife, and more.